Like sending SMS messages, receiving SMS messages through a mobile phone or GSM/GPRS modem has a major limitation, that is the SMS transmission rate is too low. 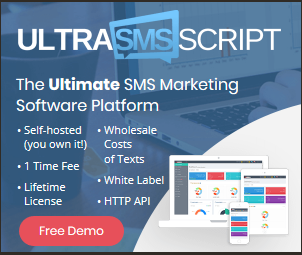 If you need a high SMS transmission rate, one way is to obtain a direct connection to the SMS center (SMSC) or SMS gateway of a wireless carrier. The connection may be made through the Internet, X.25 or dial-up. To receive SMS messages through a direct connection to the SMSC or SMS gateway of a wireless carrier, usually you need to contact the wireless carrier staff to discuss the details. A wireless carrier may only provide such service to those who have huge SMS traffic and the total fee can be very high. (However, if you divide the total fee by the number of SMS messages that is allowed to receive through the SMSC or SMS gateway, you may find that the fee per incoming SMS message is very low.) The service may involve a one-time setup fee, a monthly subscription fee and/or a per-message fee. To know the exact cost of the service, protocols supported, network coverage and other information, usually you have to contact the wireless carrier staff.